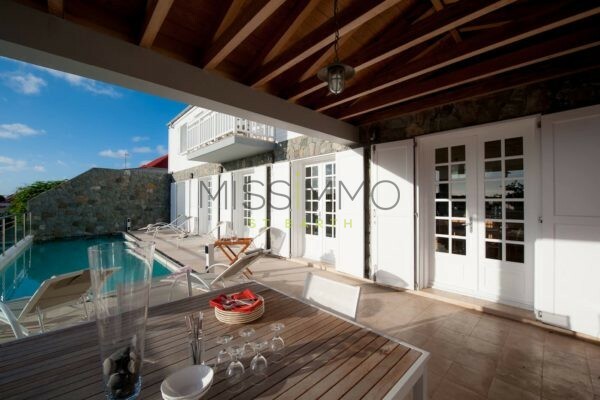 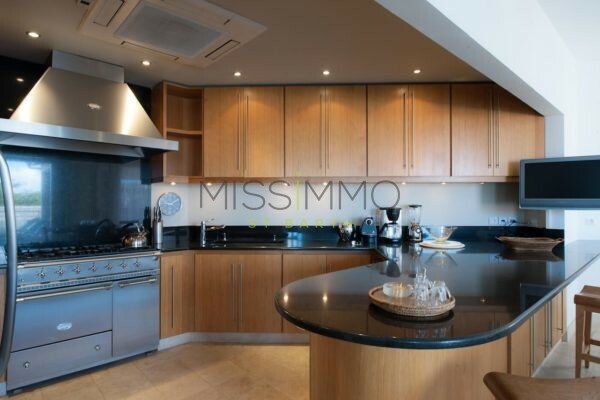 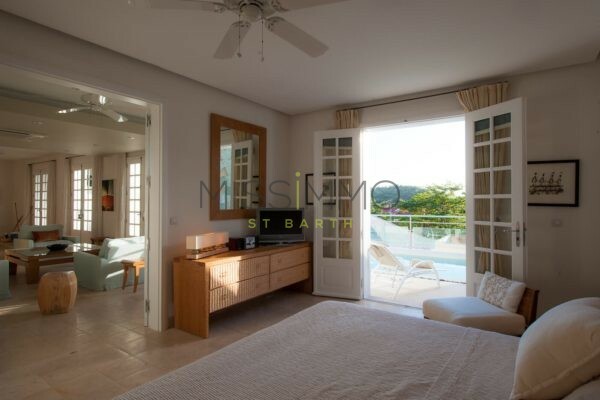 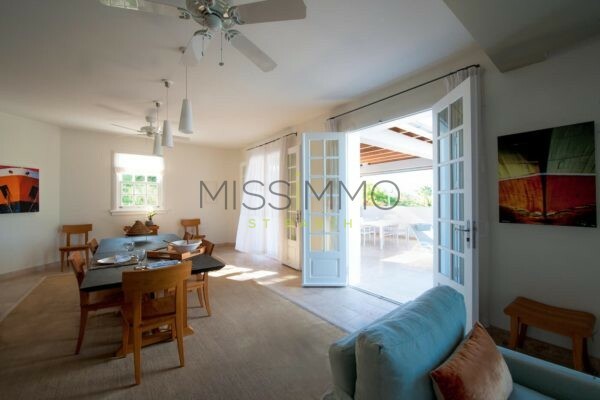 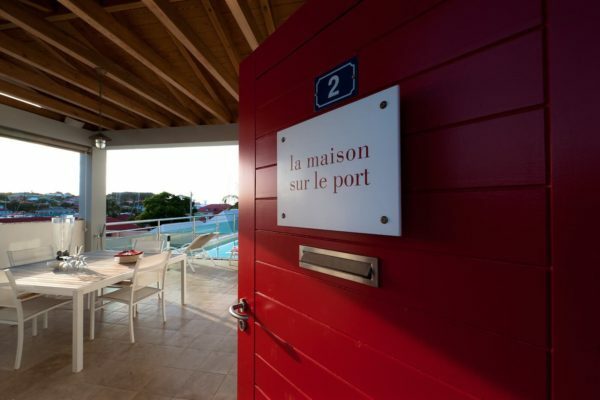 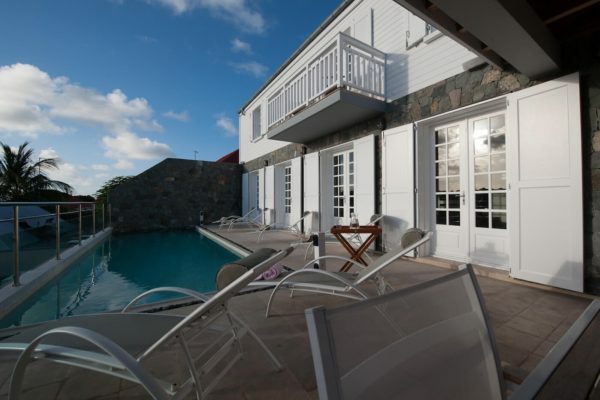 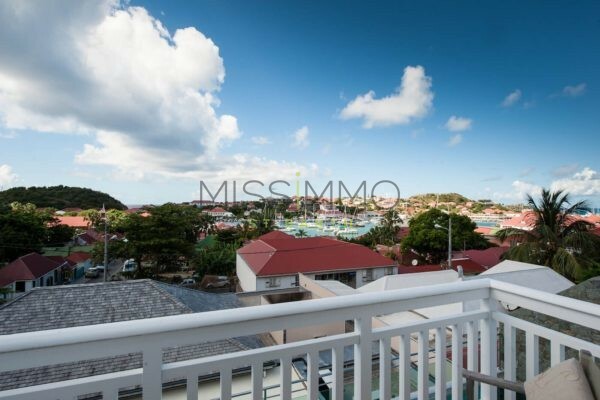 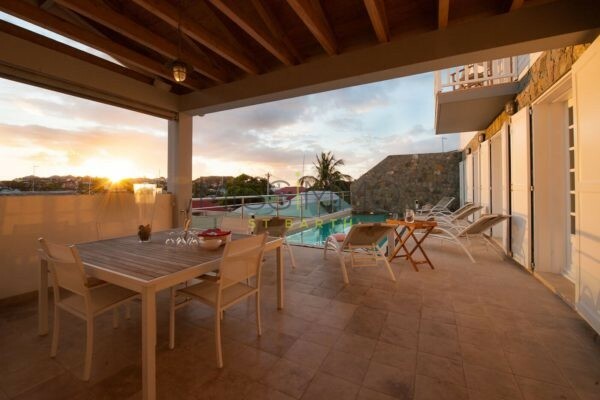 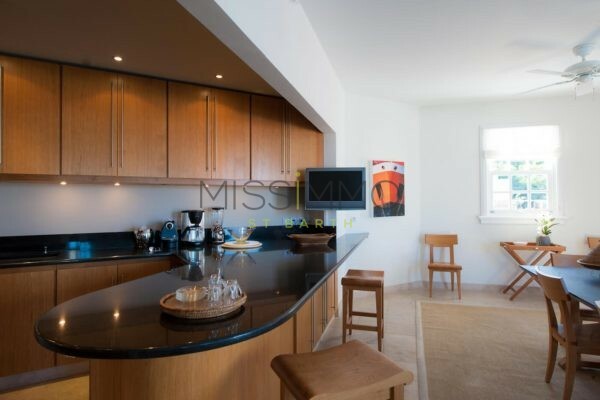 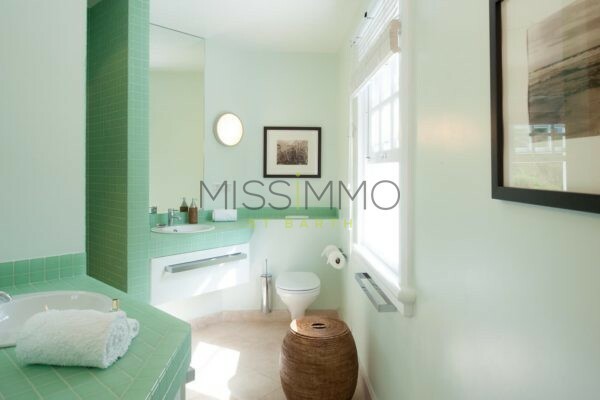 In the heart of Gustavia, Maison sur le Port offers a combination of unique central located and unexpected spacious accomodation. 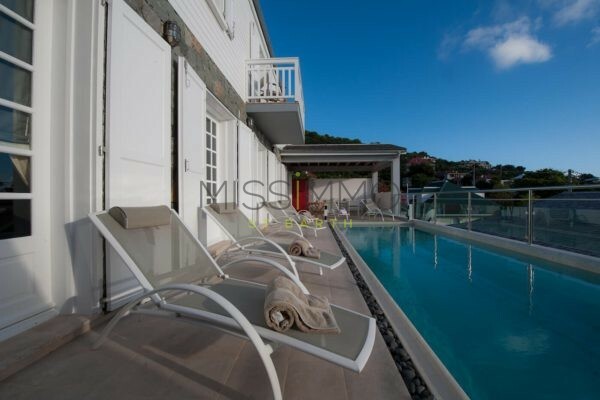 The villa is just a short walk from the harbour. 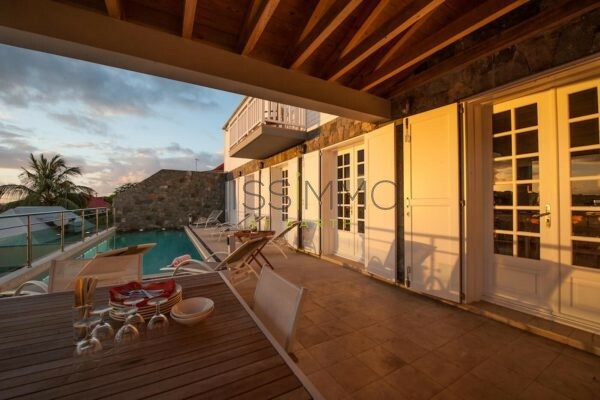 The property consists of 5 bedrooms. 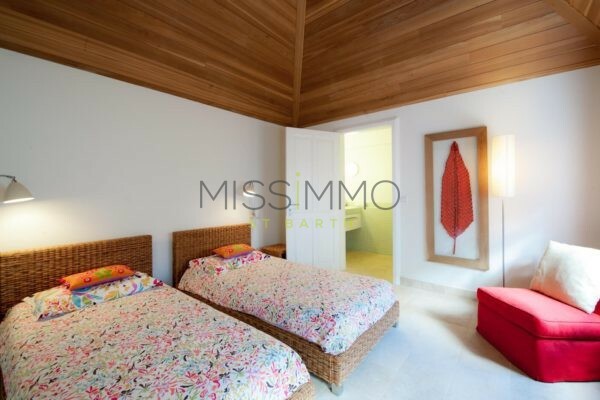 3 of them have King Size bed, one has Twin beds and the last one has a single bed. 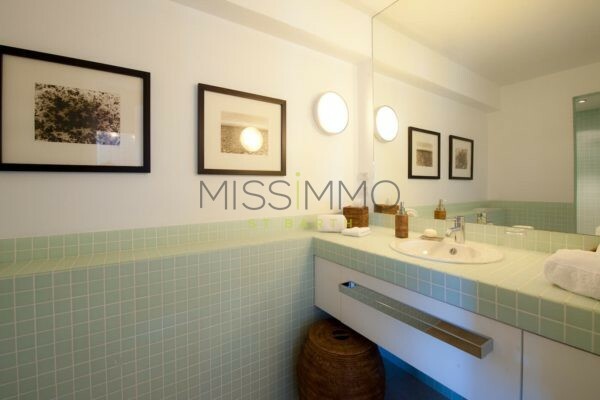 Perfect for a staff member (Like a nanny for example) or a child (Single Bed). 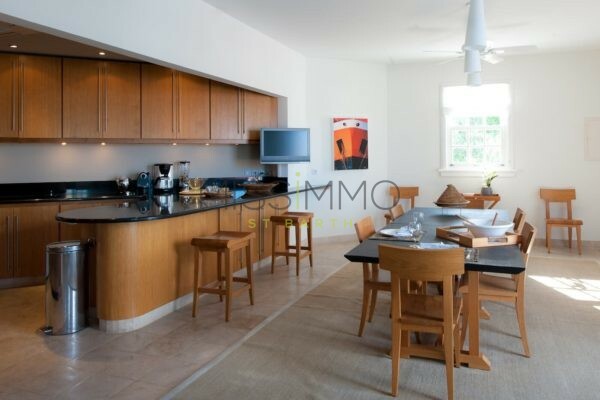 The kitchen, beautifully equipped for 12 people will made you spend very good friendly moments. 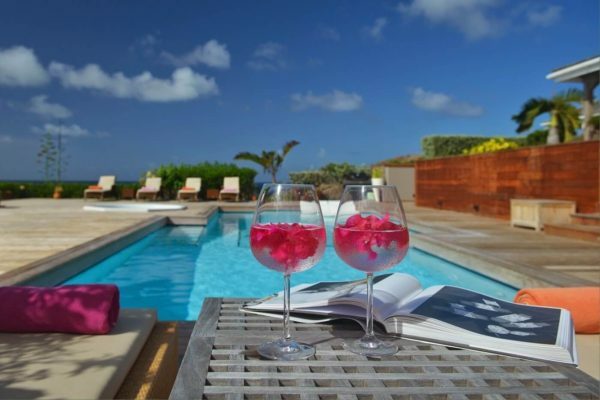 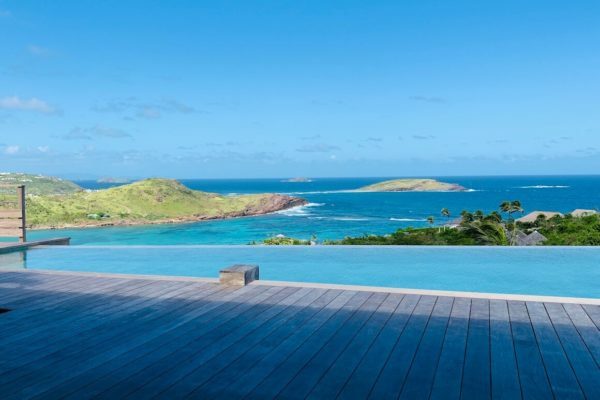 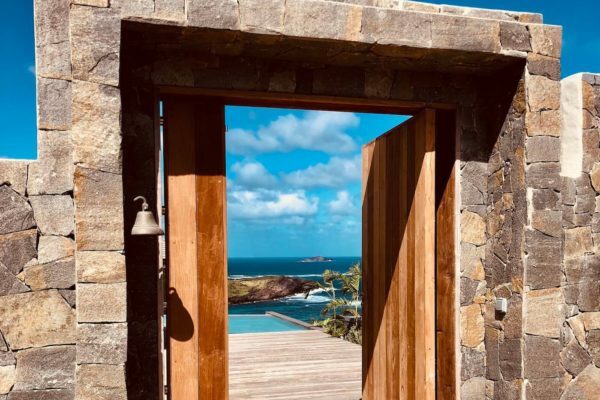 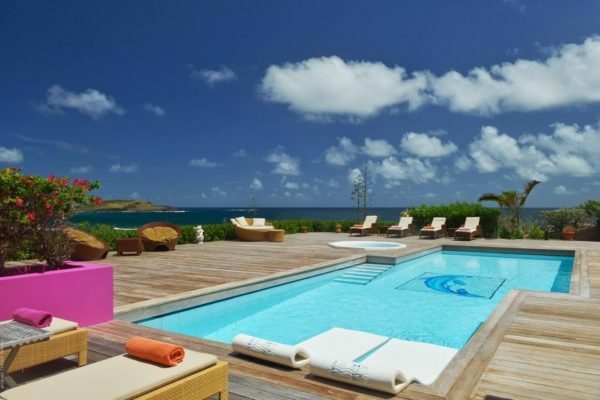 The pool will be your favorite place to sip a cocktail before dinner (Walking distance) in one of the Gustavia’s Best restaurants, or at the end of the day, watching the sunset over the harbour. 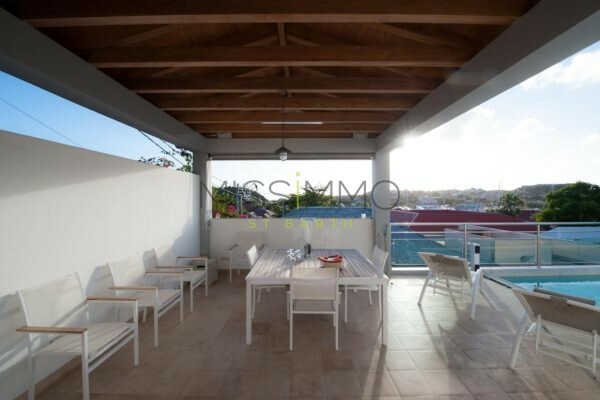 Heated Pool (10x3m) – Gas Barbecue – Dining table for 6 guests. 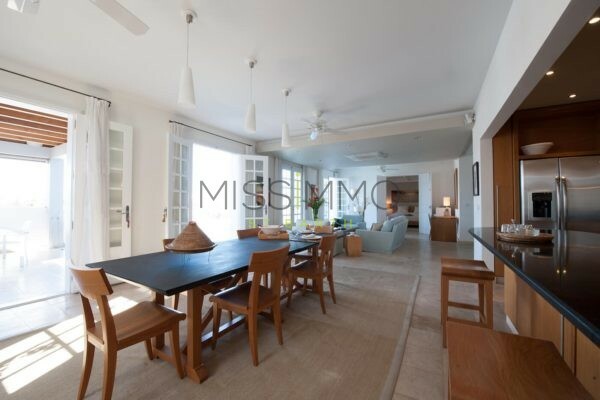 Air condtioning – Dining table 10 guests. 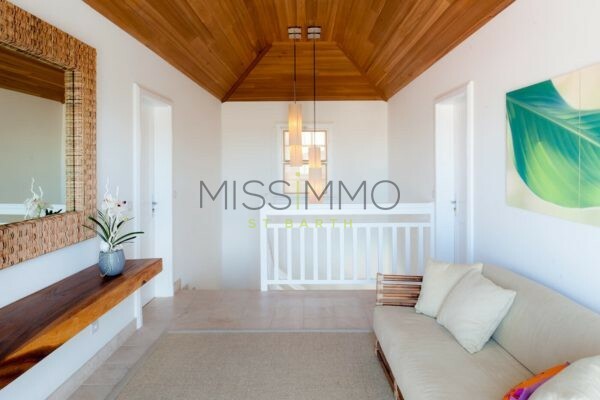 Equipped for 10 guests: Fridge – Freezer – Oven – Cooktop- Dishwasher – Microwave – Coffee maker (Regular & Espresso) – Blender – Wine cellar. 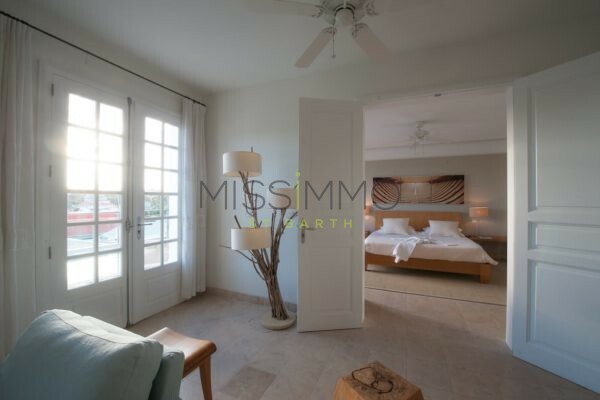 Air conditioning – King Size Bed – Safe – TV – French & US Satellite – Bathroom with bathtub. 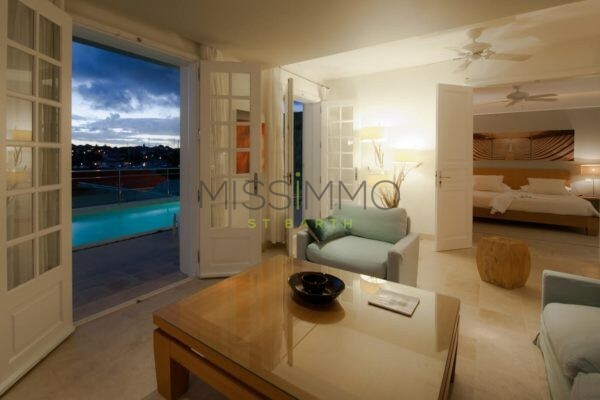 Air conditioning – King Size Bed – Safe – TV – French & US Satellite – DVD Player – Bathroom with shower. 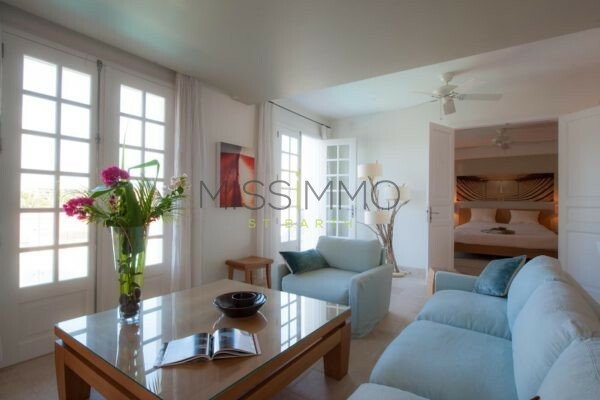 Air conditioning – Euro King Size Bed (Convertible to Twin Beds) – Safe – TV – French & US Satellite – DVD Player – Bathroom with shower. 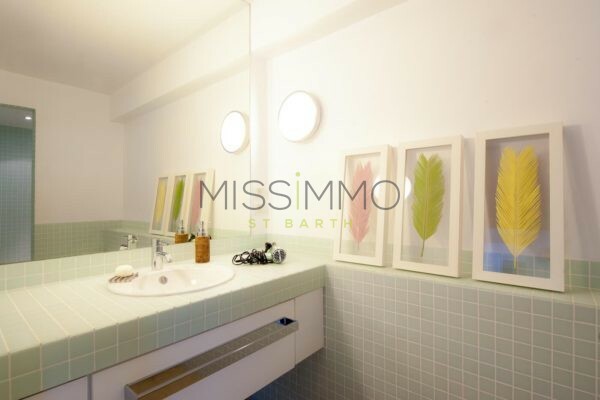 Air conditioning – Single Bed – washbasin – Small desk. 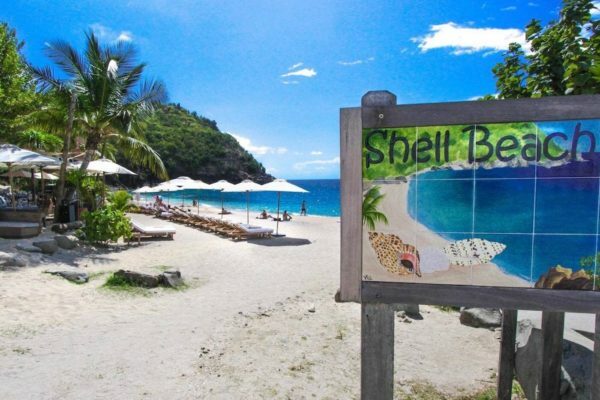 Walking distance from the city center, this beach covered of shells is ideal for a late afternoon. 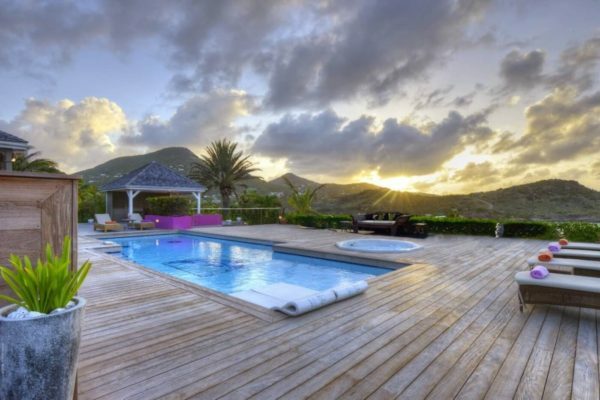 You can enjoy a cocktail or a dish from the beautiful Shellona restaurant - located on the beach - while admiring the sunset.